Win 2 Tickets to Hamilton: An American Musical in Des Moines! For just one Alexander Hamilton. That’s right, one Alexander Hamilton. You can win 2 tickets to see Hamilton this Summer. Just you wait. Just you wait and see. We’re selling raffle tickets for your shot – each raffle ticket is only $10 and can be purchased in person at the box office during a performance of “The Sound of Music” in February and March in our theatre or you can buy your tickets online by clicking the “Hamilton for Hamilton” logo below. This raffle is limited to no more than 500 chances to win and the drawing will be held during the final March 4,2018 2:30pm performance of “The Sound of Music” in front of the audience. You do not need to be present to win – we will livestream the drawing on our Facebook page. Deadline to buy your raffle tickets is March 3, 2018. Hamilton is sold-out this summer in Des Moines – here’s a chance to see Hamilton for just a Hamilton. Class Act Productions, Inc. (“CAP THEATRE”), a Iowa nonprofit corporation and tax-exempt organization under Section 501(c)(3) of the Internal Revenue Code, is conducting a Hamilton Ticket Raffle (the “Raffle”) to raise funds for its ongoing charitable activities and purposes. The rules (the “Rules”) of the Raffle, set forth below, govern the Raffle, award of prizes, and participation in the Raffle. These Rules bind every person (a “Ticket Holder”) who buys or holds a Raffle ticket. By purchasing or holding a ticket, each Ticket Holder agrees (a) to be bound by these Rules and (b) that CAP THEATRE’s interpretation and application of these Rules is conclusive and final. The Grand Prize Drawing for the Raffle will take place on March 4, 2018 (the “Grand Prize Drawing Date”). The final ticket purchase deadline for entry is March 3, 2018 (the “Final Ticket Purchase Deadline”). Only 500 tickets will be sold. As set forth in the “Prizes” section below, only one prize will be awarded. All drawings are open to the public, but the winner need not be present to win. Raffle tickets cost $10 each. An individual U.S. resident over the age of 18 may purchase a Raffle ticket either online or in person at the CAP Theatre, Altoona Iowa before the end of the Raffle. The IRS has taken the position that amounts paid for chances in Raffles, lotteries or similar drawings for valuable prizes are not gifts and therefore do not qualify as deductible charitable contributions. 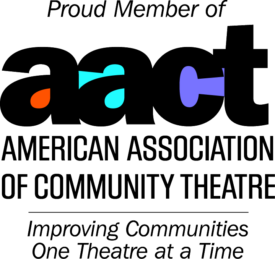 CAP THEATRE board members and members of their household may not purchase a Raffle ticket and are not eligible to win a prize. CAP THEATRE reserves the right to require reasonable evidence of the eligibility of an Eligible Ticket Purchaser or Ticket Holder at any time and to void any ticket sold to a person who does not meet the eligibility requirements or who is precluded by applicable law from holding a ticket or participating in a raffle. To win a prize, Ticket Holders do not need (a) to possess a hard copy of a Raffle ticket or a receipt in order to win and (b) do not need to be present at a drawing. All Raffle ticket sales are final. CAP THEATRE assumes no responsibility for lost, late, misdirected, or non-delivered mail or fax messages, or any other failure to receive orders or deliver receipts prior to the drawing deadlines. For the drawing, CAP THEATRE will draw at random and determine winning tickets under the supervision of a CAP THEATRE board member. Drawings will be open to the public, but winners need not be present to win. The odds of winning one or more prizes will depend on the number of tickets sold. If CAP THEATRE sells all 500 tickets, the odds of winning the Prize is 1 in 500. Two tickets to Hamilton – The Musical, Des Moines Performing Arts, July 15, 2018, 1 p.m., Seats BB-32 and BB-33. Prizewinners must pick up their prizes or arrange for delivery of their prizes, except CAP THEATRE will deliver cash prizes to prizewinners by U.S. mail, wire transfer, or other mutually acceptable means. Each Ticket Holder agrees his/her name, likeness, voice and city of residence may be recorded by audio, video, or digital means and may be used in any print, audio or visual media without notice or compensation for any purpose, including related to this or any other CAP THEATRE Raffle, or promotional materials. Each Ticket Holder and each ticket buyer (a) agrees CAP THEATRE, its directors, officers, employees, agents, representatives are not responsible for any injuries, losses, or damages of any kind arising in connection with, or as a result of, this Raffle and/or that person’s failure to win or redeem any prize, or that persn’s award of, acceptance of, or use of, any prize; and (b) releases and agrees to indemnify, defend, protect, and hold harmless CAP THEATRE and their officers, directors, employees, agents, advertising agency, contractors, and affiliated entities from and against all losses, damages, rights, claims, and actions of any kind arising in connection with, or as a result of, this Raffle and/or that person’s failure to win or redeem any prize, or that person’s award of, acceptance of, or use of any prize, or that person’s failure to comply with Applicable Law; and (c) represents and warrants to CAP THEATRE that he/she has read and understands these Rules and agrees to be bound by these Rules and CAP THEATRE’s decisions, which are final. CAP Theatre makes no representations or warranties, express or implied, regarding the fair market value of the Raffle Prize. Winner is responsible for all taxes.